1. What inspired you to write your newest book? I was talking to Brenda, the Cambodian owner of the coffee shop I go to most mornings when she told me how, at the age of six, in 1975, she and her family were driven out of Phnom Penh by the Khymer Rouge. I was fascinated-not only by her experience but by her courage, toughness and cunning as a little kid instrumental in keeping her family alive and eventually getting them to the U.S. I wanted to fictionalize the story based on Brenda's reality and she agreed to tell me all she remembered. 2. What is it about? "Remember to Remember" is about a child surviving the killing fields of Cambodia. After being driven out of Phnom Penh this six year old girl takes on the responsibility, while imprisoned in a farm labor camp, of finding food for her mother, two brothers and younger sister while many around them starve or die from overwork or execution.. When released after four years, the family travels, mostly by foot to a refugee camp across the border in Thailand. "Remember to Remember" shows a girl becoming a teenager while doggedly pursuing her promise to get her family to a new life. 3. Why must we read it? Those terrible four years when Pol Pot and his brutal Khymer Rouge army took over Cambodia, killing at least one and a half million people in Pot's attempt to enforce a classless peasant society, must not be swept under the rug and forgotten. I hear that the savagery of this time is not being taught in Cambodian schools and Phnom Penh is now advertised as a tourist's paradise. The brutality of the Khymer Rouge army is a lesson in how ignorance can be a fallow field for the indoctrination of evil. 4. What challenges did you overcome to write this book? Embellishing the truth with the right fiction and seeing everything through the understanding of a child and young girl was a challenge I enjoyed. Also, I needed to add some beauty and lightness to a tragic situation. I knew almost nothing about Cambodia and its war. I had seen "The Killing Fields" and Brenda said that is exactly how it was. So I watched it again several times imagining a five year old child in the midst of it. I wept over descriptions and photos of that time. I studied the culture, flora and fauna, climate, rice growing, camp structure, butterflies, Water Buffalo - everything I could think of. 5. 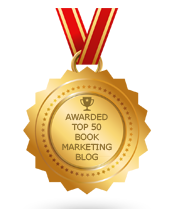 What do you feel rewarding about being a published author? I love it when readers who have read "Amber Dust" and "Caravan to Armageddon" say they now feel differently about making snap decisions about people or judging their actions. I want my books to raise people's empathy for others while enjoying the story. 6. Any advice to struggling writers? Yes, sit down and write at the same time every day so it becomes a habit. Stop going to classes and write something straight through to the end without any editing at all. Then go back and rewrite. And enjoy being in that other world where your imagination takes over. Authors United Petitioning Justice Dept Over Amazon: Will You Join Them? Will Twitter be here to help authors in 2016? What Should Be Book Publishing’s Slogan? Have You Read A Short Story Book? National Geographic Kids Almanac 2016 Is Great! Interview With Azmaira H. Maker, Ph.D.
Will Twitter Help Authors in 2016? Authors, Find Money For Publicity Here! Why Do Some Books Sell When Others Don’t? Who Are The All-Time Bestselling Novelists?